St. Augustine of Hippo (ad 354-430) ranks not only among the greatest Fathers and Doctors of the Church but also as the preeminent Father whose influence on western history has been unparalleled. It can be said without fear of contradiction that Augustine was and is the most important Church Father in the history of western Christianity. 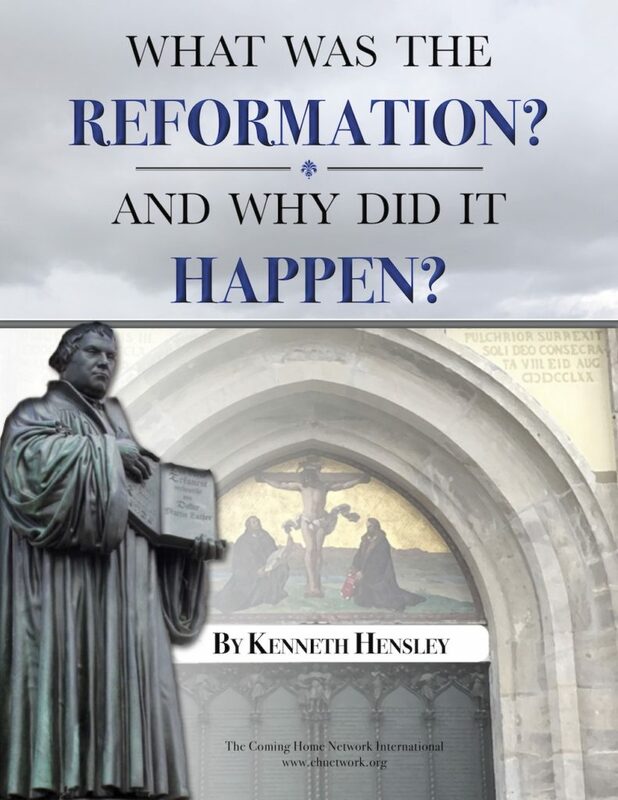 At the time of the Protestant Reformation, all the major theologies in Christendom appealed to his authority: Catholics, Lutherans, and Reformed. John Calvin, for example, appealed to Augustine as a secondary support for his doctrines and interpretations of Scripture as did his greatest Catholic critic, Cardinal Robert Bellarmine. It would not be an exaggeration to say that the theological issues of the Protestant Reformation were as much about the writings of St. Augustine as they were about the Bible. In light of his importance, it is worth asking what St. Augustine thought about the authority of Scripture. 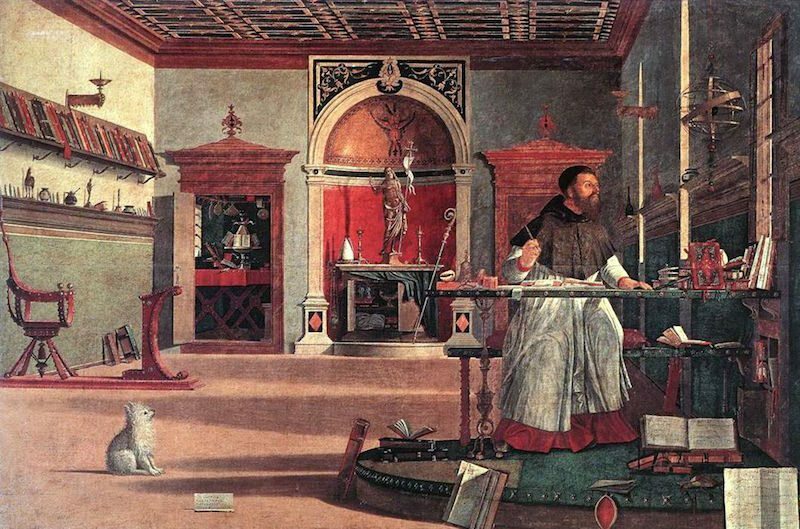 Augustine’s preeminence in the western Church is only matched by his prolific output. While maintaining a busy life as bishop, preacher, reconciler, and disciple, he left us more than any other writer of antiquity, over five million words. Yet in all these words the issue of sola Scriptura never arose. As far as I am aware, Augustine never addressed the issue as it was formulated in the Protestant Reformation. He did, however, reflect on the authority of Scripture, especially the authority of various interpretations of Scripture so that his reflections can be relevant to the issue of sola Scriptura in the modern world. I have learned to yield this respect and honor only to the canonical books of Scripture: of these alone do I most firmly believe that the authors were completely free from error. And if in these writings I am perplexed by anything which appears to me opposed to truth, I do not hesitate to suppose that either the manuscript is faulty, or the translator has not caught the meaning of what was said, or I myself have failed to understand it. Advocates of sola Scriptura like to point out that Augustine even uses the Protestant phrase in the first sentence (solis eis Scripturarum libris “to the books of Scripture alone”) which supports their contention that the great Bishop of Hippo embraced sola Scriptura. This is a case where careful reading of documents is of paramount importance. The contexts of Augustine’s comments and those of Reformers in the sixteenth century are quite different, not only in time, but in substance. Protestants contrasted the absolute authority of Scripture and what they considered the unjust authority of tradition or the magisterium of the Church. For them, the Scriptures alone were the proper source from which Christian doctrine and morals should be extracted. To add the authority of the Church was to undermine God’s authority by adding human authority to it. But in Augustine’s arguments with Jerome ten centuries earlier, the issue was not about the authority of the canonical Scriptures taken as a whole — Jerome himself affirmed that — but whether one should allow historical mistakes within Scripture. When Paul writes of Peter in Galatians 2:14 he did not act in accord with “the truth of the gospel,” Jerome had supposed that Paul had made a mistake in his writing. Augustine, in the quotations above, is affirming that the Scriptures are inerrant, not that they are the sole authority. Other writings may err but not the Scriptures. Still, a Protestant may say that even this lesser affirmation by Augustine means that he believed that Church tradition, writings of the Fathers, and Church councils could err while the Scriptures alone could not. They therefore could be the only source of absolute truth for the Church. So the Protestant Reformers saw themselves as justified in appealing to Augustine. And if one limits himself to a few select quotations from Augustine’s writings, that may seem to be true, a fact which would explain how generations of Protestants could see themselves as faithful to the Bishop of Hippo. Many contemporary apologists, both Catholic and Protestant, have limited their debate about the sole authority of Scripture to affirmations or denials about the Scriptures taken as a whole, prior to any interpretation by an individual or the Church. In this framing of the question, Catholic apologists often cite Church Fathers who affirm the necessity of both Scripture and Tradition. And there is an abundance of such texts to be had. Augustine, however, did not face the problem in that form. Rather, his life and work had more to do with how to interpret the Scriptures in the light of schisms and heresies all around him. Three examples in his lifetime were Manicheanism, Donatism, and what may be called simplistic literalism. In his disputes with Faustus the Manichean bishop, Augustine insisted on the absolute authority of the canonical Scriptures against Faustus’s claim that there were later writings of equal authority. Attending carefully to the wording of this statement reveals three important truths in Augustine’s thinking. Manichean writings (“books of later writers”) cannot be held as of equal authority with the Bible because they lack the confirmation of the historic Church (“through the succession of bishops and the propagation of churches”). Here Augustine says that the Church is the protector of Scripture’s integrity. When he invokes the imagery of a seat, Augustine means the Church as an authority. It is to this seat that every believing Christian must live in obedience. While the Scriptures rightly command the assent and obedience of every Christian, the same Scriptures can only be known by their derivation from and connection with the historic Church. The Donatist controversy was very different. On the surface, the Donatist controversy does not seem to have anything to do with the authority of Scripture. Here the issue was schism from the Catholic Church. By the time Augustine arrived on the scene of history, the Donatist schism in North Africa was over a century old. What is striking is that most of what the Donatists taught was in accord with Catholic teaching; their great sin was separation or schism. Yet, on at least one crucial doctrinal point, they differed from the Catholics. They wanted to remain separated from the Church because they considered its sacraments invalid. Why invalid? The ministers of the Catholic Church were tainted with sin and apostasy. The Donatist insisted that a priest who conferred Baptism but was himself not a good man could not confer the forgiveness of sins. His immoral life invalidated his sacramental ministry. Augustine’s answer was multifaceted but on one point he was crystal clear. The Scriptures teach that Baptism confers forgiveness even if the man baptizing is himself an immoral man. This quotation is significant not only because of what it reveals about the meaning of Baptism but also about scriptural authority. The objective validity of Baptism cannot be nullified by a sinful man. As Augustine says, this truth he demonstrated from the Scriptures. Further, while the Donatists were appealing to the teaching of St. Cyprian, Augustine showed that the earlier bishop’s teaching was not really being upheld by the schismatics. In other words, Augustine sought to read the scriptural meaning of Baptism through the prism of the Church prior to his time. Schism from the Church was associated with schism from the Church’s understanding of Scripture. Augustine walked a fine line between too little and too much latitude. In his Literal Commentary on Genesis, he insisted that a Christian should allow differing interpretations when the text seemed obscure. To be too narrow was to sin against charity (cf. Confessions, bk 12). On the other hand, too much latitude in interpretation risked putting oneself outside the faith. But how does one know what is too much or too little? Augustine’s answer lies in the rule of faith and the authority of the Church, both of which meant a humble listening to the past wisdom of the Church. When Luther, Calvin, and other Protestants began to emphasize sola Scriptura, they believed that the Catholic Church had not only gone astray in the behavior of its members — something true in every generation — but also in its doctrines. The source of those doctrinal errors, according to the Reformers, was placing Church tradition above the authority of Scripture. This, they held, was the root cause of the Catholic Church’s departure from the Faith. Had the Protestant Reformers understood St. Augustine better, they would have had more charity toward the Church in their interpretations and more fidelity to the ancient Faith.